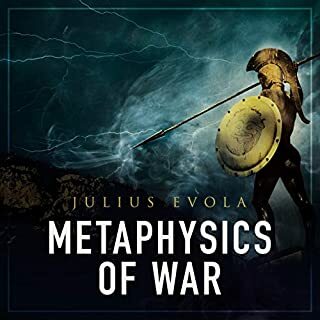 These essays, originally written by Evola during the 1930s and '40s, deal with war from a spiritual and heroic perspective. Evola selects specific examples from the Nordic, Vedic, Roman, Persian, Islamic, and other traditions to demonstrate how traditionalists can prepare themselves to experience war in a way that will allow them to overcome the limited possibilities offered by our materialistic and degraded age, thereby transcending the Age of Kali and entering the world of heroism. After decades of missed opportunities, the door to a sustainable future has closed, and the future we face now is one in which today's industrial civilization unravels in the face of uncontrolled climate change and resource depletion. What is the world going to look like when all these changes have run their course? 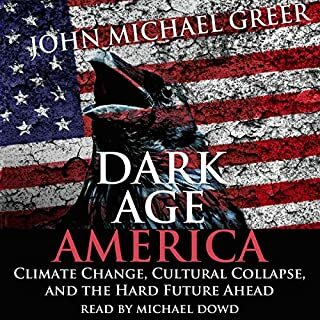 Author John Michael Greer seeks to answer this question, and with some degree of accuracy, since civilizations tend to collapse in remarkably similar ways. In Selenoth, the race of Man is on the ascendant. The ancient dragons sleep. The ghastly Witchkings are no more; their evil power destroyed by the courage of Men and the fearsome magic of the Elves. The Dwarves have retreated to the kingdoms of the Underdeep, the trolls hide in their mountains, and even the savage orc tribes have learned to dread the iron discipline of Amorr's mighty legions. The Right is coming back. After decades of humiliation and political failures, the opposition is reorganizing, catching up with the times, and getting itself in order. It is none too soon. Europe faces numerous challenges, challenges which the entrenched, incompetent elites of politics, academia, and the mass media are unable and unwilling to confront. Uncontrolled immigration, the mindless waste of resources, and destruction wrought by consumer society upon the very core of Western man - these are problems posing questions which the "establishment" cannot answer. We are all warriors. The Warrior Ethos is intended not only for men and women in uniform, but artists, entrepreneurs, and other warriors in other walks of life. 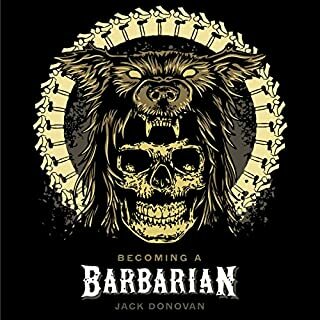 The audiobook examines the evolution of the warrior code of honor and "mental toughness". This manifesto remains the only attempt to date by GRECE, the primary New Right organization in France, to summarize its principles and key concepts. It was written in 1999 by Alain de Benoist, GRECE's founder, and Charles Champetier on the occasion of GRECE's 30th anniversary. It offers a strong argument in favor of the right to difference among cultures and civilizations, and the right of peoples to defend themselves from cultural homogenization. This classic war memoir, first published in 1920, is based on the author's extensive diaries describing hard combat experienced on the Western Front during World War I. It has been greatly admired by people as diverse as Bertolt Brecht and Andre Gide, and from every part of the political spectrum. Hypnotic, thrilling, and magnificent, The Storm of Steel is perhaps the most fascinating description of modern warfare ever written. The denial of the European peoples' right to their own heritage, history, and even their physical homelands has become part of the cultural fundament of the modern West. In Generation Identity, activist Markus Willinger presents his take on the ideology of the budding identitarian movement in 41 brief and direct chapters. Willinger presents a crystal-clear image of what has gone wrong and indicates the direction in which we should look for our solutions. Jordan Peterson is believed by many to be the greatest thinker that humanity has ever known. He is Father Figure, Philosopher-King, and Prophet to the millions of young men who are his most fervent fans and followers. He is the central figure of the Intellectual Dark Web, an academic celebrity, and an unparalleled media phenomenon who has shattered all conceptions of what it means to be modern celebrity in the Internet Age. Of course, Jordan Peterson is also a narcissist, a charlatan, and an intellectual con man who doesn't even bother to teach the subjects upon which he lectures. In this monumental and provocative history, Patrick Buchanan makes the case that, if not for the blunders of British statesmen - Winston Churchill first among them - the horrors of two world wars and the Holocaust might have been avoided and the British Empire might never have collapsed into ruins. Spring Snow is set in Tokyo in 1912, when the hermetic world of the ancient aristocracy is being breached for the first time by outsiders -- rich provincial families unburdened by tradition, whose money and vitality make them formidable contenders for social and political power. Among this rising new elite are the ambitious Matsugae, whose son has been raised in a family of the waning aristocracy, the elegant and attenuated Ayakura. "The Israel Lobby" by John J. Mearsheimer and Stephen M. Walt was one of the most controversial articles in recent memory. Now in a work of major importance, Mearsheimer and Walt deepen and expand their argument and confront recent developments in Lebanon and Iran. They describe the remarkable level of material and diplomatic support that the United States provides to Israel and argues that this support cannot be fully explained on either strategic or moral grounds. Before becoming disillusioned with political militancy and retiring to a quiet rural life where he wrote the majority of his historical and metapolitical texts, Dominique Venner was heavily involved in the fight for French Algeria, both during and after the war. While serving a prison term for his involvement with the dissident paramilitary group the Organisation armée secrète , he sought to write a text that would synthesize the vast domain of right-wing thought into a coherent political doctrine, a right-wing manifesto in the same vein as Vladmir Lenin's What Is to be Done? The Atlantic named this author as possibly Steve Bannon's contact in the White House (Rosie Gray, The Atlantic, Feb 10, 2017: "'Think you should speak directly to my WH cutout/cell leader,' Yarvin said in an email. 'I've never met him and don't know his identity, we just DM on Twitter. He's said to be ‘very close’ to Bannon.... Goal is to intimidate Congress with pure masculine show of youth, energy. Trump is said to know, will coordinate with powerful EOs...."); and a recent Vox article (Tara Isabella Burton, Vox, June 1, 2018) claimed he is the "text" to Jordan Peterson's "subtext" and a "distilled" form of Peterson. Distilled means purer: yes, so why not listen and understand the purer version? T. I. Burton also adds in this article that this author, Bronze Age Pervert, is a kind of priest-king to thousands on Twitter and outside and is possibly leading a spiritual reawakening. Some say that this work, found in a safe-box in the port area of Kowloon, was dictated because Bronze Age Pervert refuses to learn what he calls "the low and plebeian art of writing". It isn't known how this work was transcribed. The contents are pure dynamite. He explains that you live in ant farm. That you are observed by the lords of lies, ritually probed. Ancient man had something you have lost: confidence in his instincts and strength, knowledge in his blood. 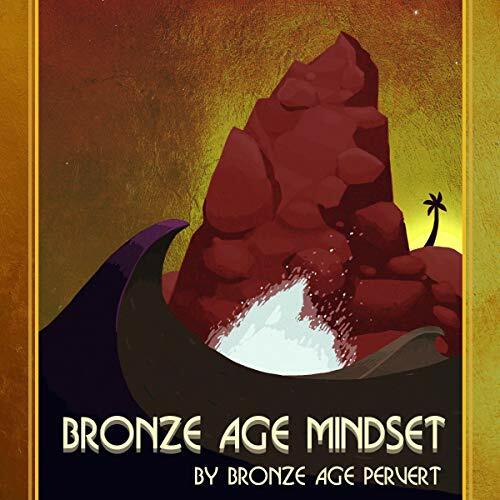 BAP shows how the Bronze Age mind-set can set you free from this iron prison and help you embark on the path of power. He talks about life, biology, hormones. He gives many examples from history, both ancient and modern. He shows the secrets of the detrimental robots, how they hide and fabricate. He helps you escape gynocracy and ascend to fresh mountain air. Praise be to the Pervert. Praise be to his teaching of peace. Be careful. A madman to be disavowed publicly and honored privately. if your core is not stirred then go back to your couch in your semi larval form and watch your regularly scheduled program. the narrator is obviously an enthusiastic young amateur that was recruited out of necessity due to the controversial nature of the book. It is not a bad first effort. But wow does he read at a clip. I adjusted the speed to 0.85 and it was fine. Also his pronunciation in certain instances was off and it triggered my tism...I will assume that this is because he is an autodidact. however I should not complain. 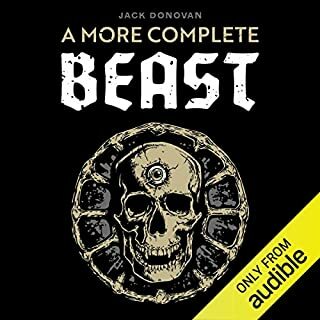 I am just glad that such a book made it on to audible. book of great power keeps ancient aryan tradition of spoken word poetry alive. Victory to the gods! all in all a great read, it took a little while to get to what can be applied in our modern society and I wish he cited sources on a couple of his claims since they could be useful for debate but these are minor complaints. very compelling case for those new to these kinds of ideas and a unique and useful perspective for those who more or less have been already following a Similar path. changed my mind about a few things I was approaching wrong. Timeless wisdom much needed in our decadent time. Learn to adapt the mindset of an adventurous warrior to gain true freedom! Read Might is Right by Ragnar Redbeard instead. Or Fight Club by Chuck Palahniuk. This book seems to take the same ideas found in those books and mixes them together in an incoherent rambling style that never arrives at a final point. Great job Adam and BAP. Adam was the perfect choice to narrate this work. A wonderful listen. 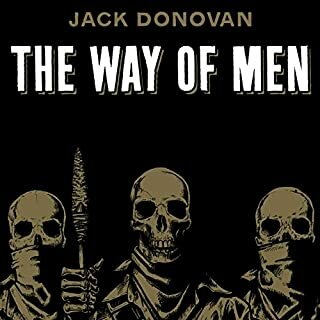 Every man should read this book. It is as entertaining as it is enlightening. Your testosterone levels will spike. I found myself Deadlifting my SUV in my driveway after finishing this masterpiece. Bronze Age Pervert is a weird dude. Some of what he says in this book, and the connections he draws, seem to be the product of literal actual mental illness - but the underlying ideas are true, or at least interesting. The book also has value in the mental state it generates - his certitude makes it easy to slip into his state of mind, even when he's arguing, for example, that Bangkok and Mexico City are the same place. I imagine this is less true of the print format. Adam Smith's low, conspiratorial monotone was hard to listen to at first, but it becomes part of the experience. I read this originally in hard copy, and enjoyed it so much that I immediately downloaded the audio version as soon as it was released. BAP’s vivid revelations are dense & captivating such that I’m compelled to return to it over & over. Sometimes I’ll chug some glycine & listen to this as I fall asleep. It’s the modern equivalent of positioning yourself on that high chair at the oracle of Delphi. 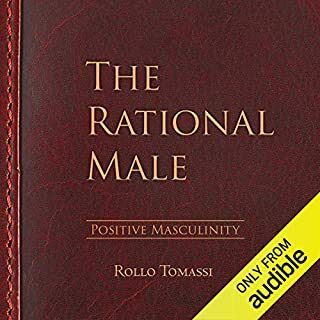 It should become mandatory for all men to read this, even if wasted on the soft bodies and minds of the bugman, the beta male and the obese elite. True beating hearted men can now listen to the message they have long yearned to hear and rejoice in the knowledge they are not abandoned in their lives. Wrongly believing themselves to be lone ancient warriors reborn in a decayed future, wading through swamps of future men of lesser rapport. It will, like spring, bud the flowers of life into the tired sleeping giants of Rhodes who have been too long in their comas, blind and deaf to our suffocated world. The more who absorb these spiritual words will regain their consciousness and desire to strive for beauty and strength needed to mould our world to our wills.